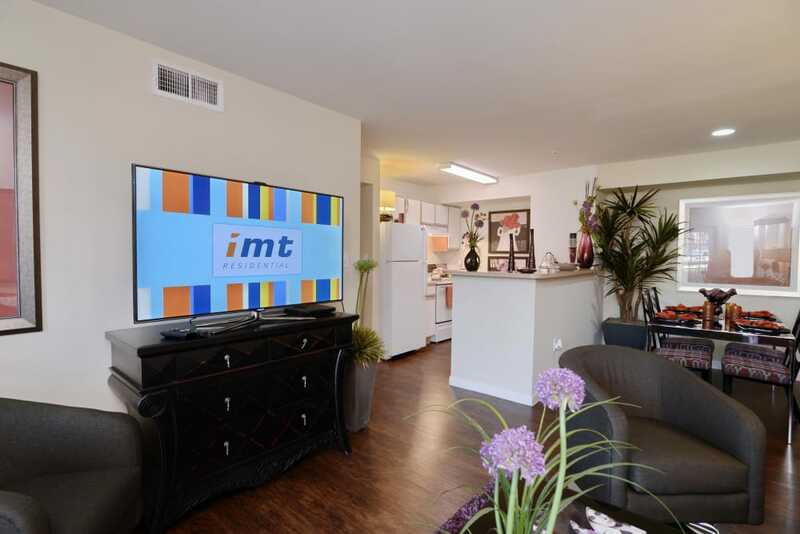 Imagine starting your morning in your new home at IMT At The Medical Center. 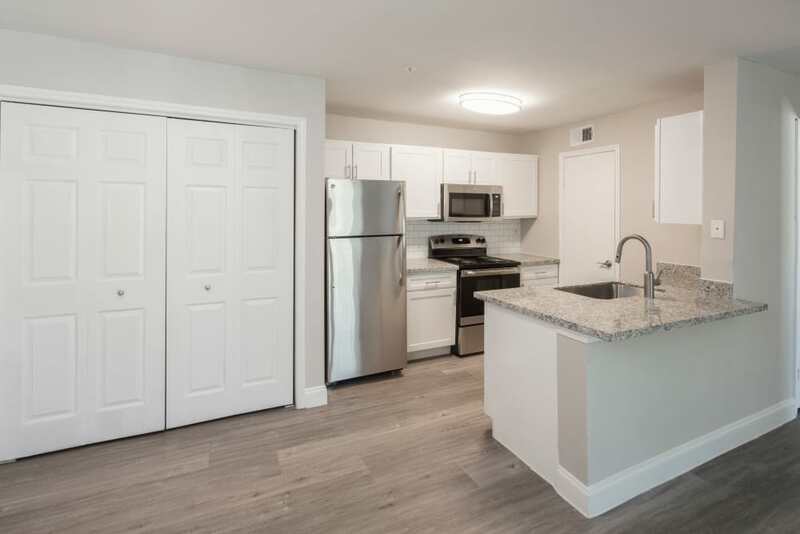 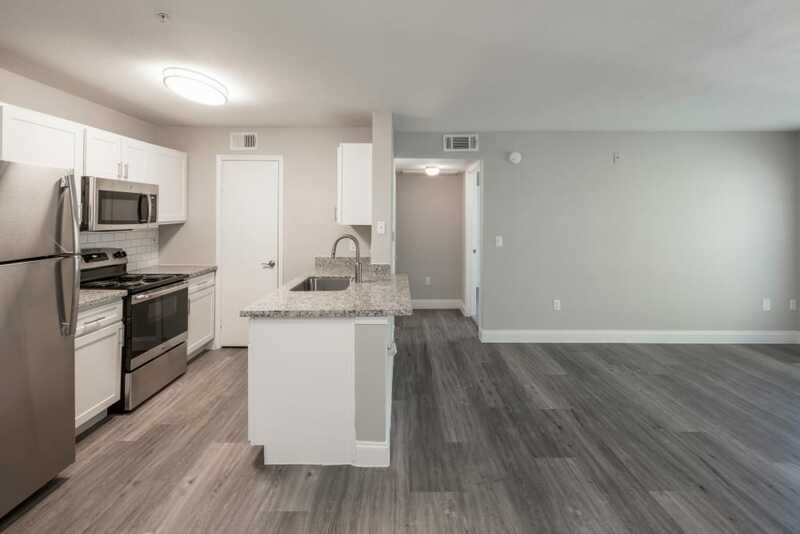 After you wake up in your comfortable studio, 1, 2, or 3 bedroom apartment for rent you make your way to your open-concept kitchen. 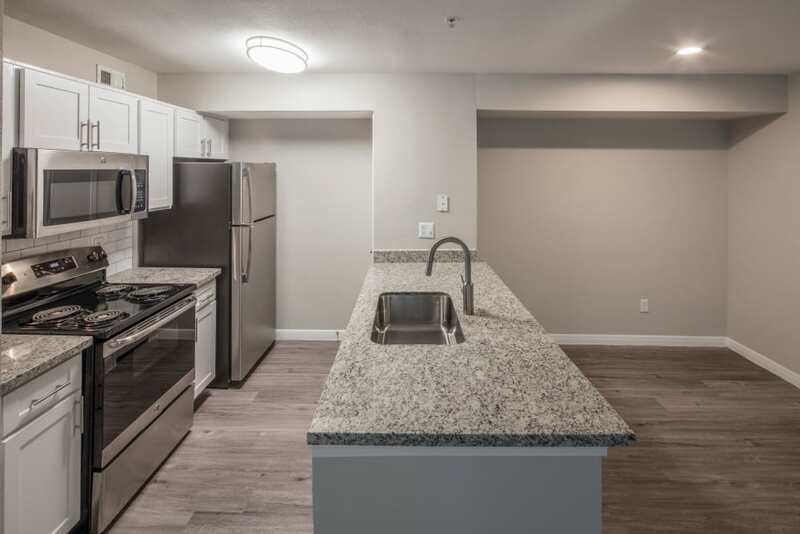 With the help of your modern GE stainless-steel appliances, you prepare a tasty breakfast and savor every bite, seated at your charming breakfast bar. 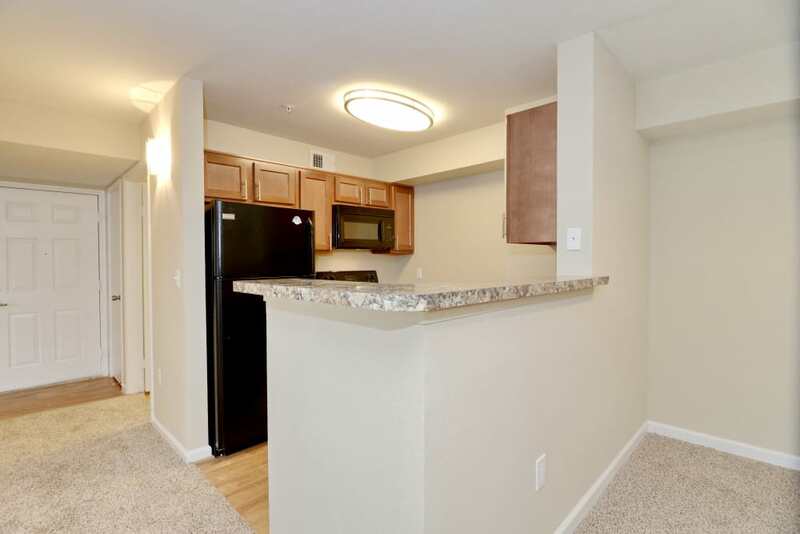 You place your dishes in the convenient dishwasher, you pick an outfit for the day from your spacious walk-in closet. 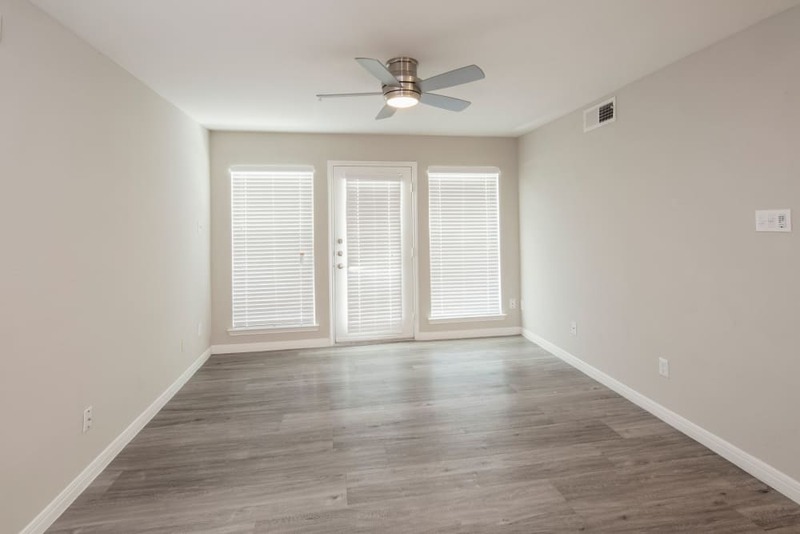 When you are ready to start your work day, you pick up your car from the garage or catch the Metro Rail across the street. 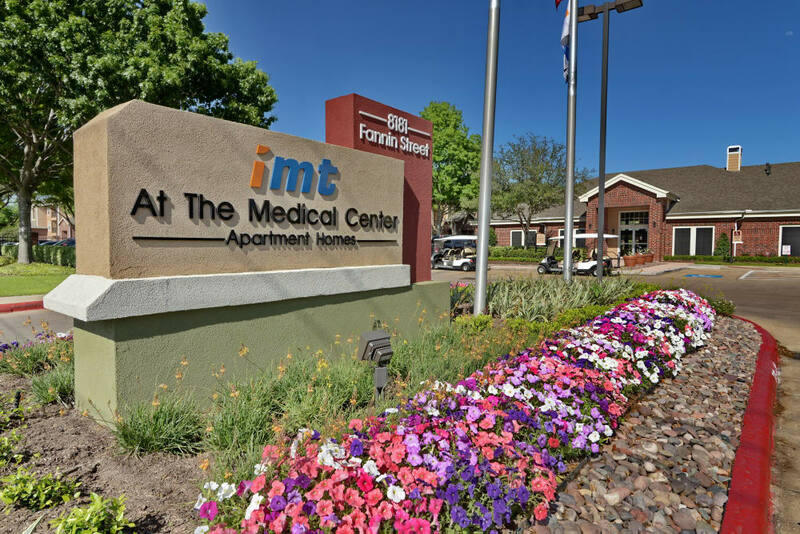 The beautifully manicured grounds at IMT At The Medical Center set us apart from other apartment communities in the area. 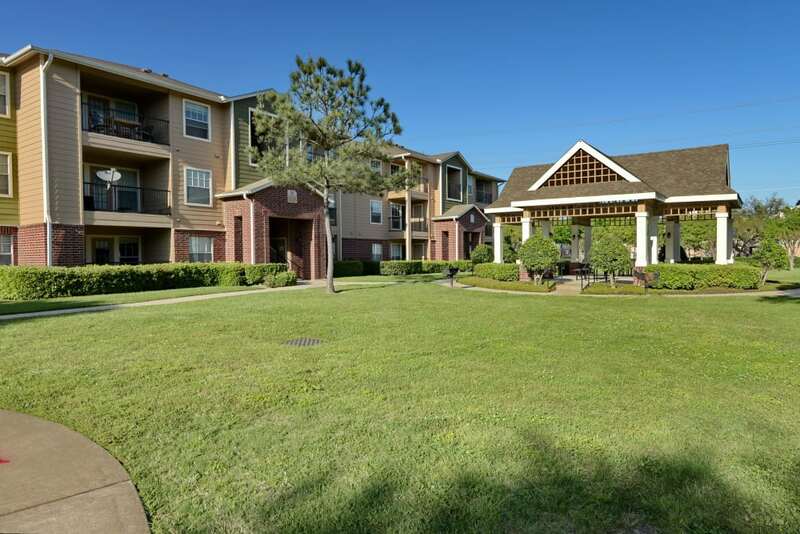 The picturesque landscape features towering palm trees, mature foliage, and verdant lawns. 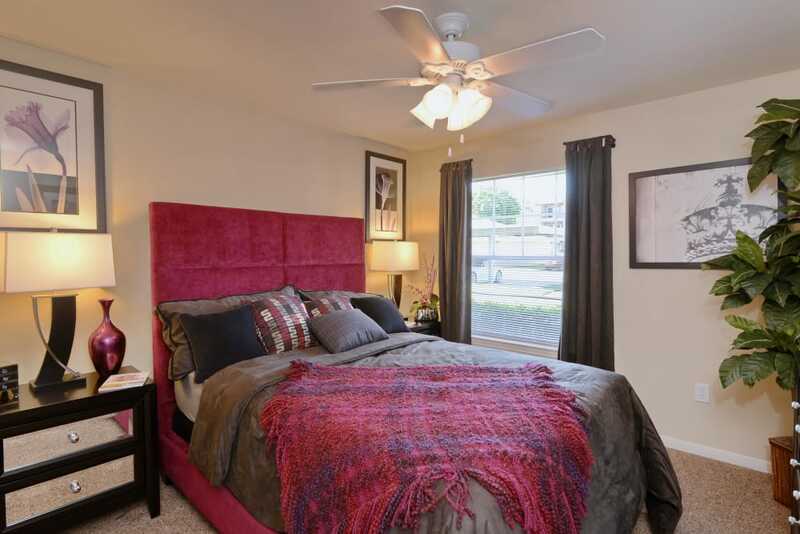 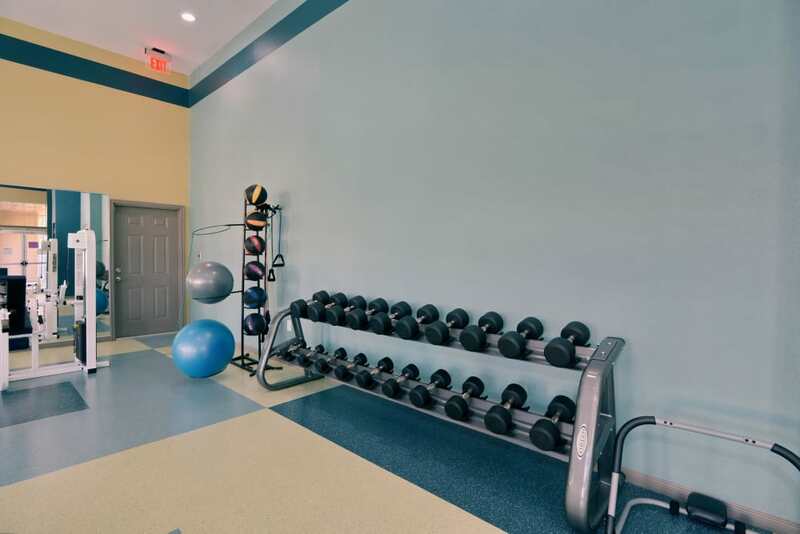 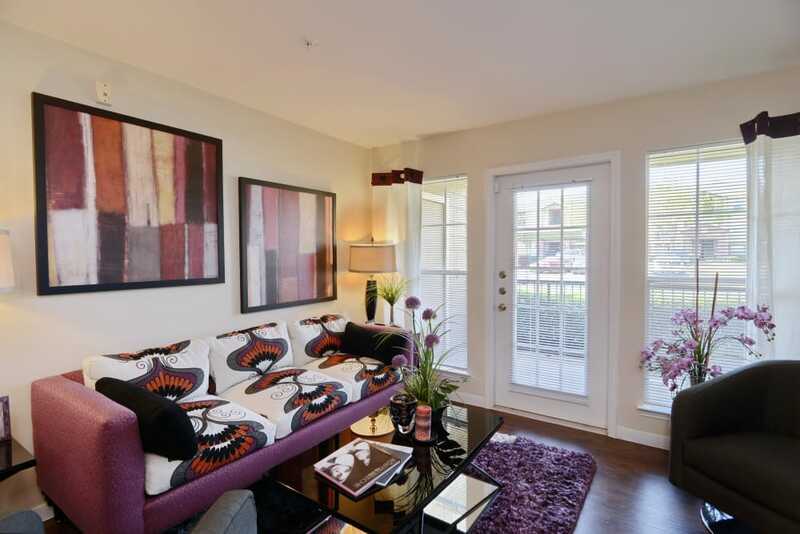 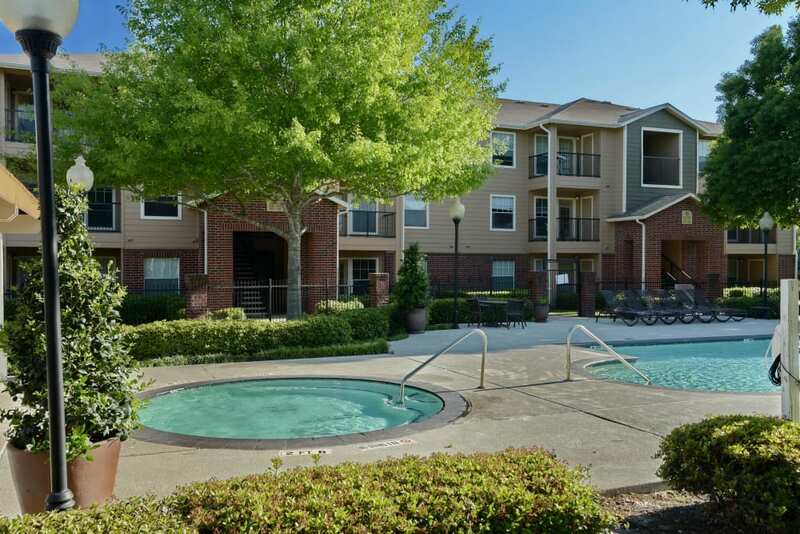 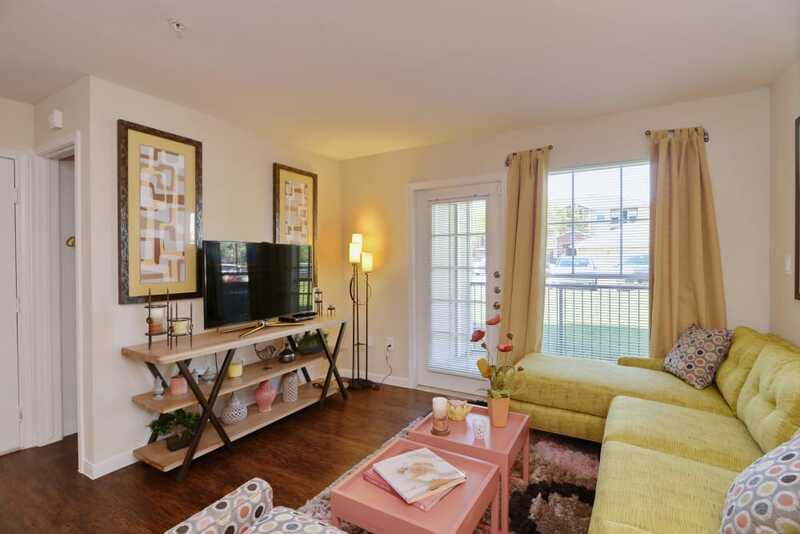 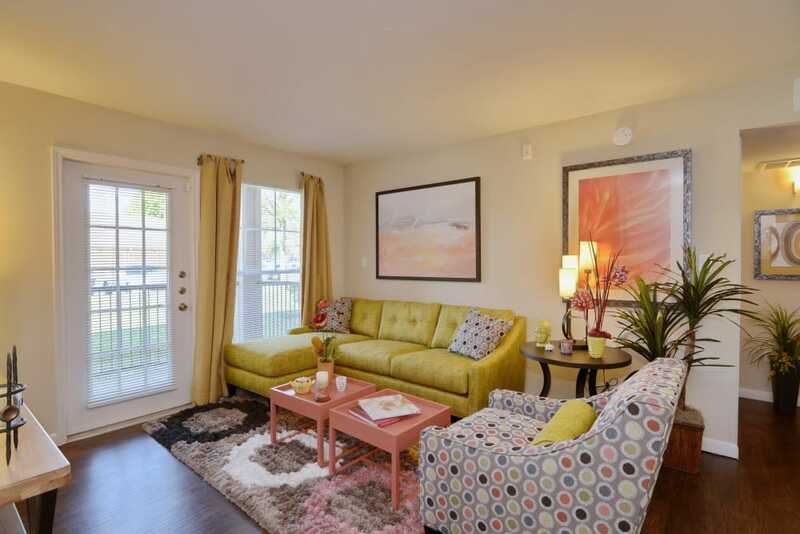 Throughout the community, you will find our long list of upscale amenities. 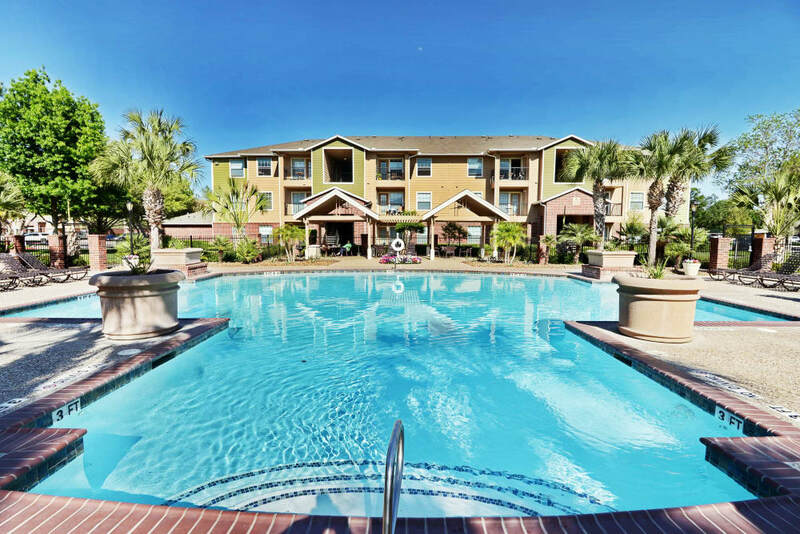 The two sparkling outdoor swimming pools are perfect for soaking up the summer Texas sunshine, while the state-of-the-art fitness center is a great place to work up a sweat. 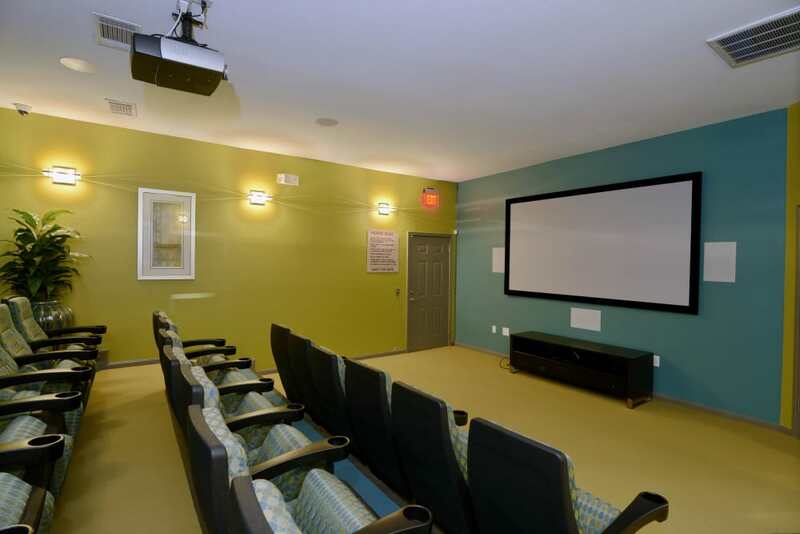 Complete with a convenient clothes care center, community movie theater, and barbecue and picnic areas, IMT At The Medical Center is your home for comfort and leisure. 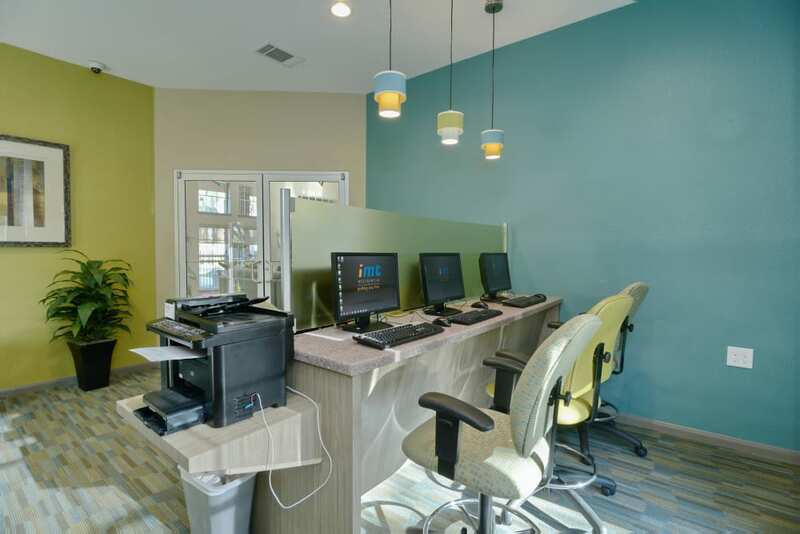 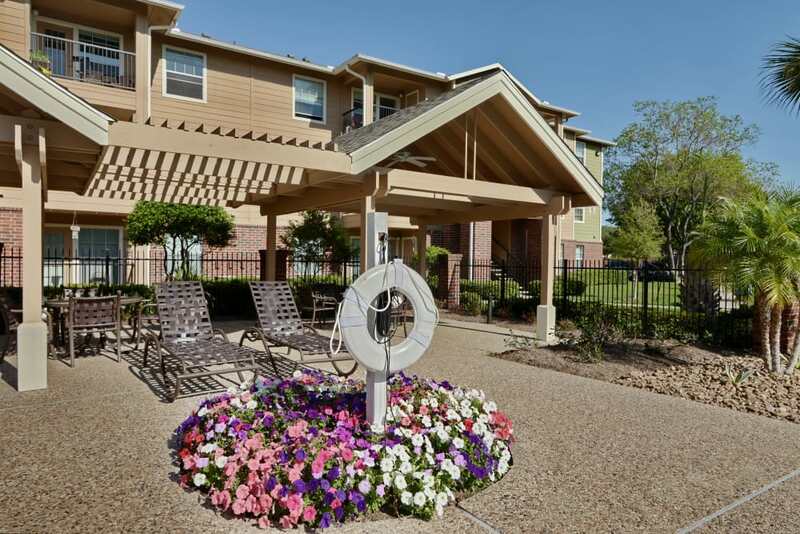 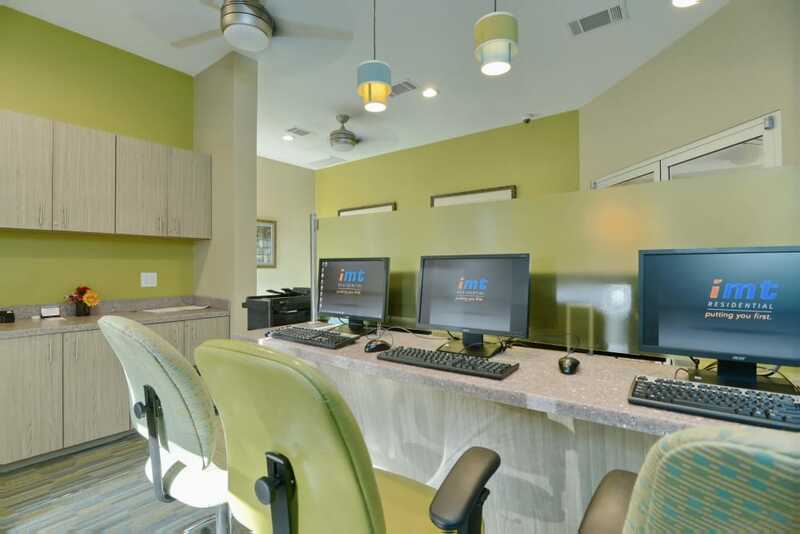 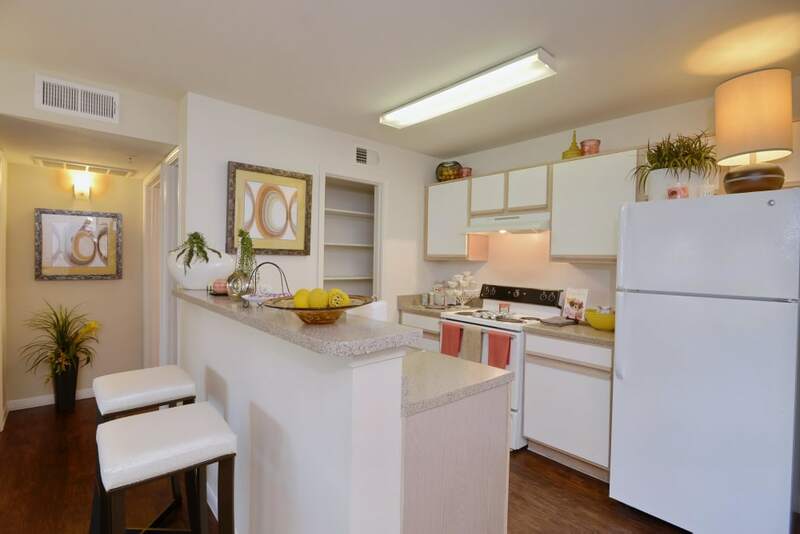 If you want to tour our Houston, TX, apartments for rent in person, contact IMT At The Medical Center today.